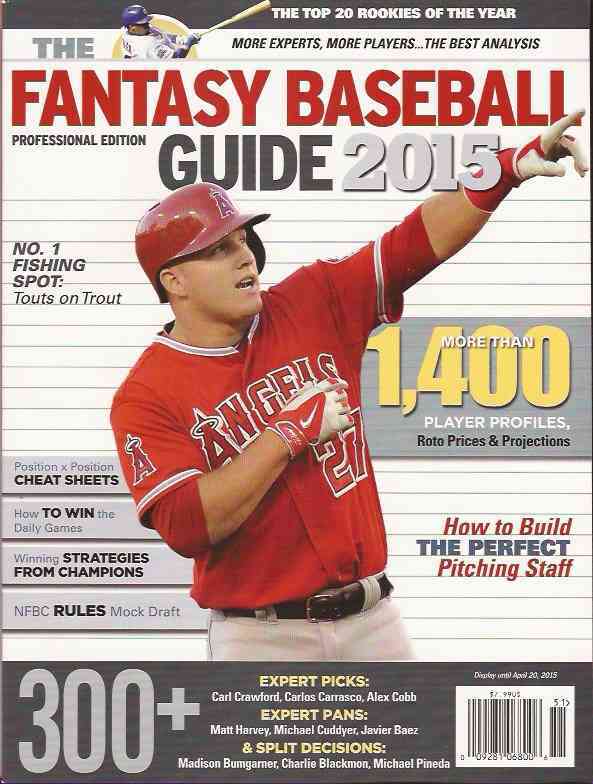 The Fantasy Baseball Guide Online and PDF Versions are available! Visit thefantasysportsguide.com to buy. Use the coupon code Rotoman15 to save $1! ASK ROTOMAN: Lake At The Top? in the current TXT files, you have Junior Lake hitting .318. 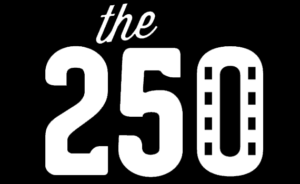 Â Typo or irrational exuberance? Â If typo, what do you really predict (I’m curious, he’s pretty high variance). Not really a typo, but one of those instances where a player with limited major league playing time has a high BABIP and a high strikeout rate, and manages to go through the projection tweaking without me noticing his outsized batting average. If I had noticed I would have dropped Junior Lake’s BA projection this year to .275, which is more in line with his past production and contact rate. Maybe it’s a bit high, actually, but he’s always had a good BABIP coming up through minors. It’s hard to take that completely away from him without good reason. The other numbers I have for him in the Patton $ Software and Data, are right on, but the .318 is the absolute high end of the possibilities for him this year. That’s if he strikes out less, gets on base a lot on batted balls, hits a homer every 40 at bats or so. That’s possible. Equally possible is that major league pitchers are going to see that he’s not patient, and they’re going to extend the zone on him. He’s going to strike out more, and pop out more, and his average is going to drop to .235. That’s possible, too. Which is the variance you’re talking about, Junior B. and I’m glad you brought it up. My projection for Lake has him earning $13 in 420 AB, hitting 10 homers and stealing eight bases (but getting caught nearly as much). That’s batting .275. But I’m willing to pay $7, a bit more than half, because even though there is a fair chance he’ll do better, there is an equally fair chance he’ll do worse. And I want to get caught holding a smaller bag if that happens. I’ve seen Lake play and it looks like he has the physical skills to excel, the question is in his head and desire. You don’t want to bet on the come hoping those things develop now, but a modest bet will have decent upside if the others in your league let him go. The March 15 release is complete. It has updated projections and prices for 4×4 and 5×5 leagues. Players have league identifiers. Go to the download page, which is password protected. 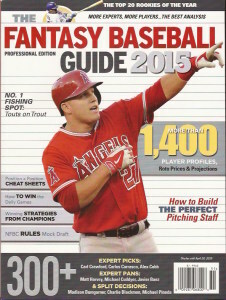 Fantasy Baseball Guide owners will find the password in the Guide. 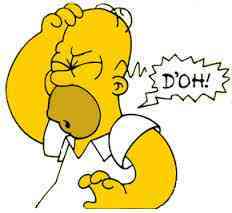 It is the first word of Rick Wilton’s injury report on Albert Pujols, in the hitter section of the Guide. You can buy an electronic version of the magazine at thefantasysportsguide.com. Use the promo code rotoman2014 and get a dollar off. You can also buy the Patton $ Data and Software, with more projections and prices updated through the first week of April. More info at software.askrotoman.com.